Be the first to share your favorite memory, photo or story of Alan. This memorial page is dedicated for family, friends and future generations to celebrate the life of their loved one. 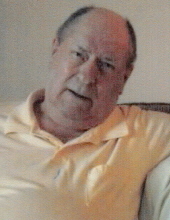 Alan B. Lovrien, 81, of Lincoln, passed away Tuesday, March 19, 2019. Born to Russell and Edna (Shelgren) Lovrien on March 21, 1937, in Waterloo, Iowa. Al received his Masters in Social Work from UNL and dedicated his life to helping others. He enjoyed collecting, repairing and donating computers to those in need. Survivors include sons, David (Grace) and Clark (Dixie); step-daughters, Charlotte Lovrien and Teresa Kreienkamp; brothers, Kenneth, Richard (Charlotte), Dr. Fred (Sharon); sister, Rachel (Gerald) Woltman; along with numerous grand, great-grand, and great-great grandchildren. Funeral service will be held 10:30 AM Saturday, March 23, 2019 at Colonial Chapel Funeral Home, 5200 R Street with Pastor David Duncan officiating. To send flowers or a remembrance gift to the family of Alan B. Lovrien, please visit our Tribute Store. "Email Address" would like to share the life celebration of Alan B. Lovrien. Click on the "link" to go to share a favorite memory or leave a condolence message for the family.